It's not easy being the alpha-male of a baboon troop. Sure, alpha-males have more access to fertile females and more reproductive success. But the cost is high in terms of stress, reports a study published July 15 in Science. 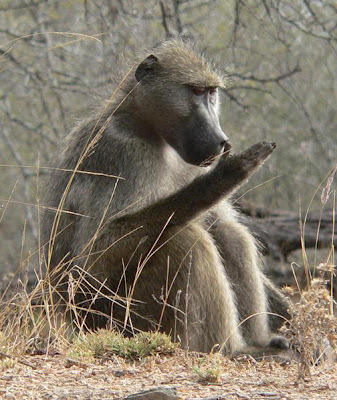 Laurence Gesquiere and her colleagues from Princeton University observed 125 adult male baboons living in 5 baboon communities in Kenya's Amboseli National Park, from 2003 to 2008. The scientists measured hormone concentrations by analyzing the hormone content of each baboon's feces, monthly. Baboons live in social groups where the the top-ranking males have primary access to females in estrus. 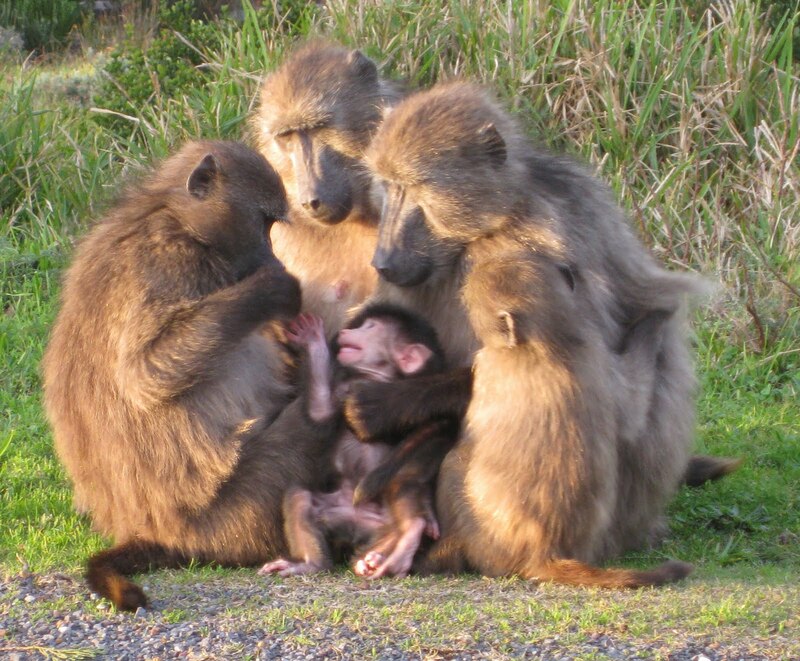 Adult baboons have long,dangerous canine teeth, and males fight ferociously for power. Gesquire's study reveals that the levels of stress-hormones in the highest-ranking males are similar to the levels in the lowest-ranking males, who are struggling just to survive. The stressful challenges of alpha-males include having to fight off rival males and guard fertile females from other males' attentions. The stressors for the lowest-ranking males are not getting enough food and constant harassment from higher-ranking males. Males that are just one rung lower than alphas in the power ranking have significantly less stress than either the lowest or the highest. But, these second-tier males have less access to females - generally only stolen advances when the alpha is busy elsewhere. And they risk his fury if discovered. They are absolutely adorable. Hard to imagine how anyone could NOT have compassion for these guys. Thanks for your comment, Paquita! I love what you said in your blog bio...about mas flaquita que gordita. And now "skinny" is what the old "normal" was! Well said...and funny but true!